Italians Vote in Tight General Election - Integration Through Media ....! 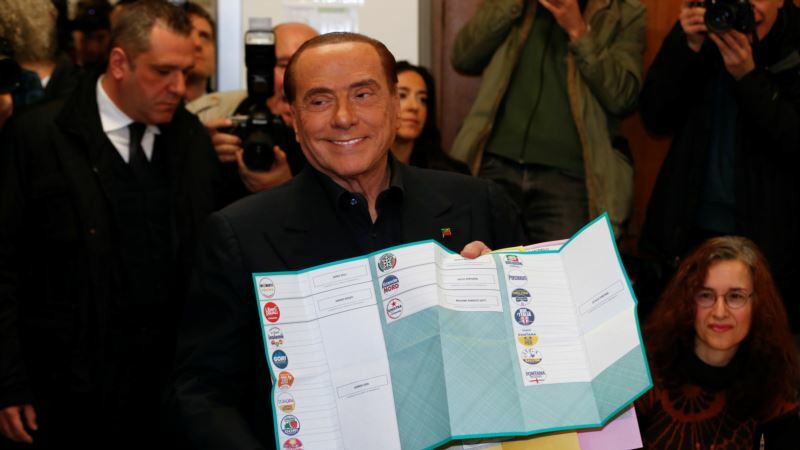 (VOA): More than 47 million Italians are eligible to vote in Sunday's general election, and polling booths will remain open until late with exit polls expected immediately after closing. Opinion polls were banned in the past two weeks of the campaign, but surveys before suggested no party would win the needed majority to govern the country. This election is expected to determine the makeup of the new 945-member Italian parliament and the next government. It is Italy’s 18th general election since 1948. But much uncertainty surrounds the outcome of the vote with the main contenders having predicted victory. Three time former 81-year-old Prime Minister Silvio Berlusconi has brought his center-right Forza Italia party into an alliance with the anti-immigrant League headed by Matteo Salvini and the far-right Brothers of Italy, headed by Giorgia Meloni. This group stands the best chances of coming close to a majority, but recent opinion polls predicted it would come short of the needed 40 percent to govern. Rome resident Leopoldo Targiani says he will vote in this direction. “I decided to vote for Forza Italia, Berlusconi because I have certain ideas which are very close to him but not all of them. In Italy, the panorama is a little bit confusing,” he said. Another Rome resident, Riccardo Frulli, has decided the League is the only party that can bring change. He says Italy urgently needs to deal with the high level of youth unemployment, high taxation and public spending, as well as immigration. The populist and Five Star Movement, which did not exist 10 years ago and is headed by 31-year-old Luigi Di Maio, could emerge as the largest single party. Di Maio has made clear he wants to lead the country’s new government and his party will make no compromises or join forces with others. In essence, the youngest in this electoral contest is facing his toughest opposition from one of the oldest. Berlusconi is banned from holding public office until next year due to a tax fraud conviction and is backing European Parliament President Antonio Tajani as his choice to lead the country. But League leader Salvini also has prime minister ambitions. Also a player in these elections is the ruling Democratic Party with current prime minister Paolo Gentiloni considered the most popular single politician and party leader, and former prime minister Matteo Renzi also likely to gather a substantial number of votes. Many Italians casting their ballots in the fourth-largest EU economy admitted their concern about the country’s future. This lady said, hope is the last to die, so hopefully things will change for the better because it can't get worse than this. She says Italy has reached the bottom, it can only come back up. Observers say the chances of a hung parliament are high. In such a scenario, the Italian head of state, Sergio Mattarella, would have to find a cross-party solution to create a government; a grand coalition of various parties would have to come together. This could take weeks of negotiations and if an agreement for a workable government is not reached, Italians could head back to the polls.